Great location! Minutes from beautiful Vanderbilt Beach, Ritz Hotel and Delnor Wiggins State Park! New home with new contemporary style furnishings, high ceilings. Enjoy your totally private Pool under screen lanai! Cook inside or grill your steaks outside by the pool! Fully equipped kitchen with granite counter tops and stainless steel appliances.-Outside BBQ gas Grill. 2-car attached garage. Wi-Fi High-speed internet, cable TV. Washer and Dryer available. Close to shops, stores and restaurants. Beach equipment (chairs, umbrella, cooler) and beach towels provided for your convenience. It’s one of the newest properties in the area and close to the best beaches on the Gulf. I love the layout of this house-high ceilings, 8ft interior doors, plenty of room to gather. It has a well stocked kitchen. Plenty of towels including beach towels and beach chairs. I’m a pool person and I spent a lot of time in this pool. Normal size, but clean and very private. Walked the 2 miles to the beach and back each day. Easy shopping and dining nearby. You can walk to North Naples Country Club for good bar food. Deep Lagoon is less than a mile away for great seafood. Definitely would rent this house again. Very clean-everything was as pictured in ad. Excellent location. Within 2 miles to beach and church. Grocery store very close also. Very quite neighborhood. Pool was wonderful when the weather permitted use. Plenty of beach equipment for our use (beach chairs, cooler, and umbrellas). We really enjoyed our time here. The pool was warm and situated so we got a lot of sun. The home was comfortable and fully stocked. The location is perfect and we enjoyed walking through the neighborhood. Stayed for 8 nights with my wife and kids in December. Pros: Nice 3 bedroom house in close proximity to shopping and the beach. Pool was clean and heated and there were lots of pool and beach toys available. House was fully stocked with towels, sheets, and blankets. 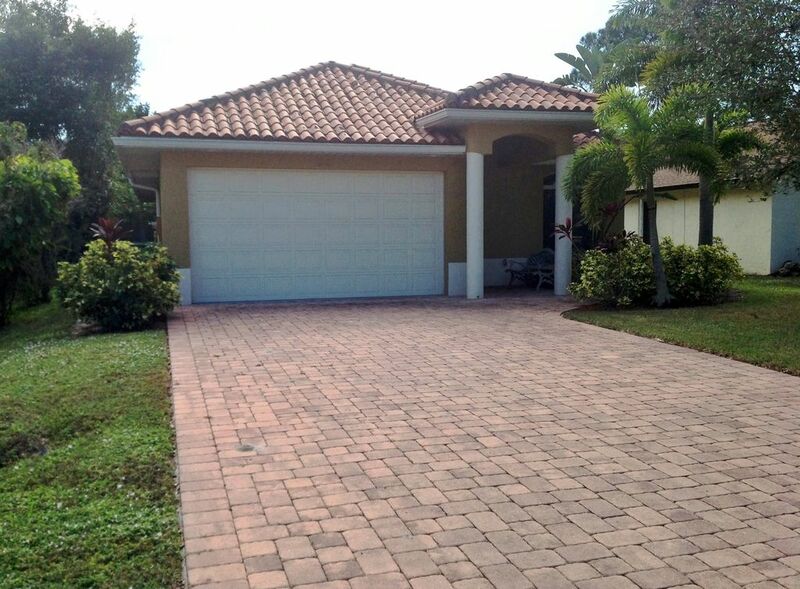 Close to a shopping mall and other Naples Park attractions and a 5 min drive to the beach. Cons: Some of the furniture/appliances were pretty well used. Ottoman had rips and tears throughout it, one of the toilets didn’t work properly, and there was no propane in the grill. Nothing that couldn’t be addressed but it definitely felt more like a well used rental property then someone’s home. Management was responsive to our questions and overall a very good experience and somewhere I would rent again. We loved the house from the first minute. Clean and with everything furnished you need. We felt like being at home. We will be back for sure!!!! Thank you for renting us your Florida property. We really enjoyed ourselves and appreciated the great accommodations it was not lacking in anything. The house was equipped so well, lots of pool and beach toys, chairs, umbrella, and cooler. The kitchen and pantry were fabulous. Could not ask for more.